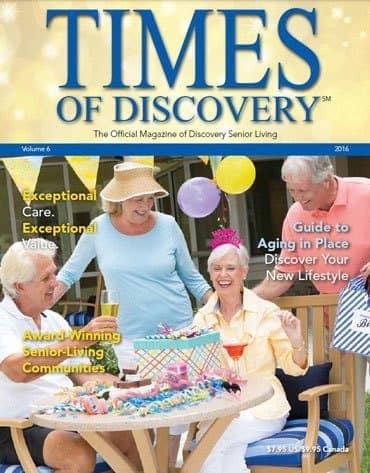 Thank you for ordering your FREE digital copy of Time of Discovery Magazine, the definitive guide to Discovery Senior Living’s award-winning communities and lifestyle offerings.Click here to access your digital Times of Discovery Magazine . We would also like to invite you to tour our unique community and enjoy a complimentary lunch or dinner for you and a guest. Please contact us at your earliest convenience to schedule a visit. Thank you and we look forward to welcoming you as a future resident.